A guided tour of Moscow is certainly something we recommend for first timers to the city. Our knowledgeable guides will bring the main attractions to life with tales of Moscow's past, present and future. 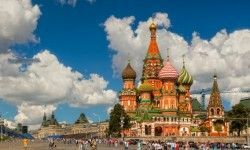 Sights include Red Square, Lenin‟s Mausoleum, the exterior of Novodevichy Convent, the GUM department store and of course the mighty Moscow Kremlin and St Basils Cathedral- a sight that will truly take your breath away. Comfortable air conditioned transport is provided but we recommend wearing comfortable shoes as some walking is required. 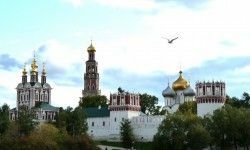 walk inside the beautiful Novodevichy Convent (1hour; from £17) during your city tour. St Basil’s Cathedral is one of the most recognisable buildings in the world and is an iconic symbol of Moscow. A true architectural wonder, the cathedral was commissioned by Ivan the Terrible in the 1500’s and is lavishly decorated with vivid bold colours, striking patterns and shapes. The building is made up of nine churches connected by a web of narrow corridors; each church is lavishly decorated with intricate frescoes; however the exterior of the building is equally as impressive with its famous colourful onion domes! A common myth is that once the building was complete, Ivan had the architects blinded to be sure that they never build anything as beautiful again. Top tip – if you want to take photographs of the inside of St Basil’s, you must pay for a photo permit upon entry which costs around 160 rubles (around £4) - definitely worth it! Located on the banks of the Moskva River, Novodevichy Convent is one of Moscow’s most renowned historical sites. Built in the 16th century, the architecture of the convent is that of ‘Moscow Baroque’ style and offers a serene retreat from the lively city centre. The convent is home to several churches which are surrounded by a high wall with 12 watch towers. Our guides will bring the convent to life with stories of its past. 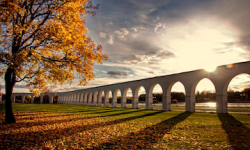 The necropolis is a must see – many of the country’s famous public figures are buried here, including writer Anton Chekov and ballerina Anna Pavlova. 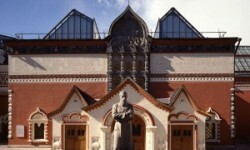 If you are an art enthusiast, Puskhin Fine Art Museum is the place for you. 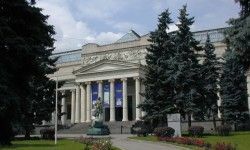 The largest museum of European art in Moscow, it boasts Byzantine and early Italian art as well as works of world-renowned artist such as Rembrandt, Rubens, Picasso, Matisse and many more. Russian art appreciators will not leave disappointed either as the museum holds the masterpieces of Bryullov, Ivanov and Deyneka! 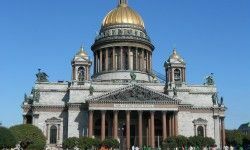 St Isaac's Cathedral is the largest cathedral in the city and dominates the skyline of St Petersburg. Designed by a French architect and taking 40 years to construct, it is the 3rd largest domed cathedral in the world! 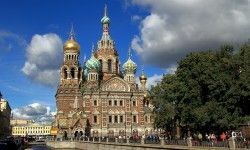 St Isaac's is decorated with mosaics, painted ceiling murals, bronze gilt statues and is surrounded by 112 monolith granite columns, which were transported from one of the suburbs of the city. Now the cathedral houses a museum, but for the Major Orthodox holidays Religious services are still held here. This fascinating church is a sight for sore eyes! The temple is known all over the world for its beauty as both the interior and exterior are intricately decorated with unbelievably detailed mosaics. The building was erected in the spot where Emperor Alexander II was assassinated, it was badly damaged during World War II, but is now fully restored and has been open to the public since 1997. Fun fact – the walls of the church are faced with a staggering 7 thousand square metres of mosaic panels! Lose yourself amongst the treasures of one of Russia’s best known sights and arguably the largest collection of fine art in the world. 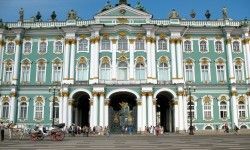 Masterpieces from artists such as Da Vinci, Rembrandt and Kandinsky make the Hermitage an unforgettable visit. The guide service lasts for approximately 2 hours, in which time they will take you to the most popular pieces, however you are free to further explore the museum independently afterwards. Bear in mind that the Hermitage is huge – if you wanted to look at every item on display it would take you roughly 7 years so planning ahead is essential to be sure you don’t miss the pieces you’d most like to see! Classic city tour of Veliky Novgorod. Explore the beautiful Novgorod Kremlin (the oldest in Russia! 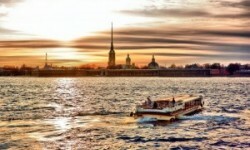 ), Saint Sophia Cathedral and Yaroslav's Court among other sights of the city. 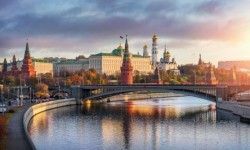 During the tour you will learn about the history and lifestile of this traditional Russian place, admire the towers and walls of the Kremlin and visit the famous "Millennium of Russia" Monument. From the pedestrian bridge across the Volkhov River you will have a chance to appreciate the view of Yaroslavovo Dvorishche, the political and commercial centre of Veliky Novgorod. The tour includes your individual guide and entrance fees. 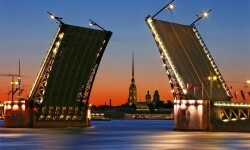 We are happy to offer a wide range of excursions in other Russian cities! To book an excursion to your own place of interest, just contact our travel experts and we will make your holiday unforgettable!